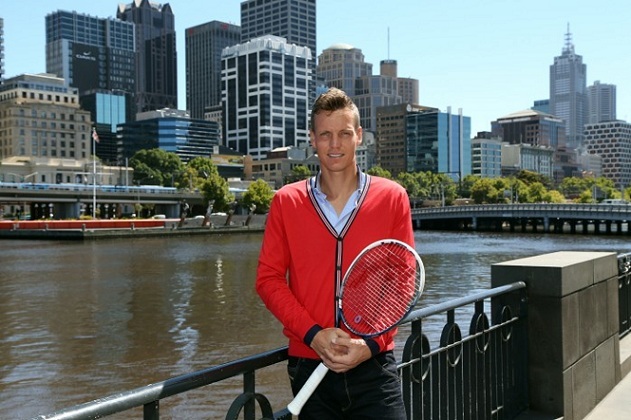 H&M announced they have signed a long-term partnership with the international tennis star Tomas Berdych. Currently ranked 6th in the world, Czech-born Berdych will be the ambassador for H&M both on-court and work closing with the H&M design team on a unique tennis collection. The 27 year old Berdych's partnership with H&M marks a new chapter in the relationship between sport and fashion. "I am very excited about this partnership. This is H&M's first foray tennis and it is very flattering for me to be their first ambassador. H&M is young, cool and easy, everything I think clothing should be. I love fashion, and it's great to now have H&M to help me develop my tennis and off-court apparel. I'm sure we will do a great things together", says Tomas Berdych.